Buildings Self-Sufficient & Sustainable Many futurists believe that because of climate change and depleted resources, future high rises and buildings in 2050 will have to be designed to be self-sufficient and sustainable. What would the key components of such buildings be? 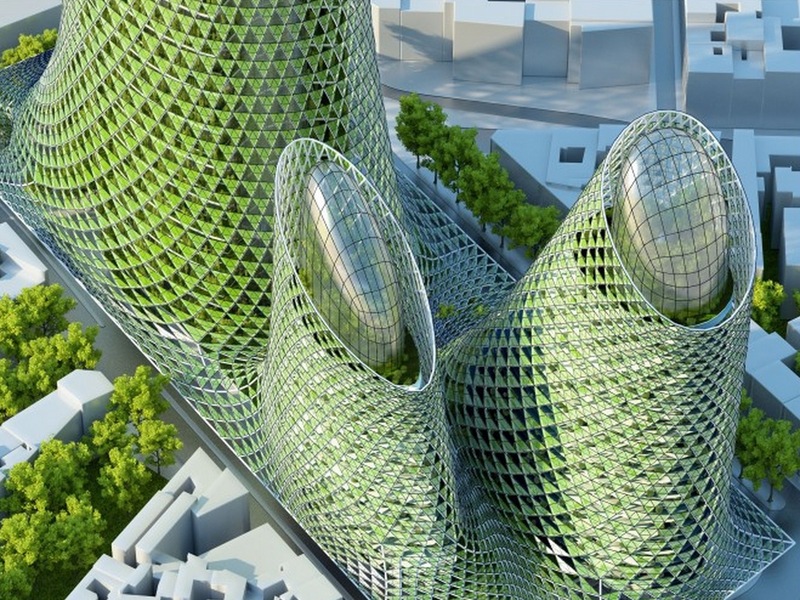 The vision of buildings and life in them in 2050 is fascinating. First off, 2050 buildings will need to be energy self-sufficient. Renewable energy sources will be part of the architecture such as solar roofs and solar paneled windows. 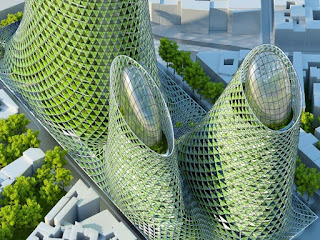 Algae biofuel cells will be part of the façade generating energy to power the buildings. Several floors will be dedicated to farming the building's food supplies. Rain water will be collected and converted into drinking water. 3D, 4D and perhaps 5D printers will be ubiquitous to manufacture on the spot whatever is needed. Some futurists see the buildings as self-contained islands, where everything needed is created within. This is a fascinating, futuristic vision of life in 2050. Cityscapes of very smart buildings in very smart cities that are self-sufficient, self-sustaining and green.